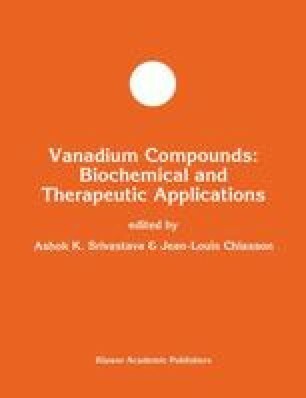 Vanadium is a trace element that has raised increasing interest in diabetology since the discovery of its insulin-like properties in vitro and in vivo. This brief article reviews the most recent data concerning the beneficial effects of vanadium compounds on fuel homeostasis in animal models of insulinopenic (Type I) or insulin-resistant (Type II) diabetes. These studies open obvious therapeutic possibilities in diabetes, and more particularly, in states of insulin resistance.